Today, we’re going to address some of the other so-called “gurus” criticize – my “no contact” strategy. I never felt like I had to defend this strategy– after all. However, there are a few gurus here with low-quality webcam videos that spout a number of nonsense arguments against my strategy. Normally, I wouldn’t bother to address these videos but I occasionally get a few of my viewers who mention how my version of “no contact” is wrong because they’ve watched some other misleading video. This obviously makes me upset, not because these videos are seemingly attacking me but because the advice that they’re giving is downright incorrect. And the only reason these gurus want to discredit my strategy is to stir up some controversy to get views on their channel. But as you’ll soon realize, the amount of hate comments and dislikes these videos get serve as some level of proof that these imposters are simply trying to get their 15-minutes of fame. You’ll also run into videos that propose that their version of No Contact is somehow better than mine by calling it something fancy like “The Super No Contact Strategy”. Again, don’t fall for it. These fancy names only serve as a gimmick in their quest to get views and build controversy. So today, I’m going to categorically shut down all of these arguments once and for all. The first argument that I hear is “you can’t ignore your ex into wanting to be with you again. 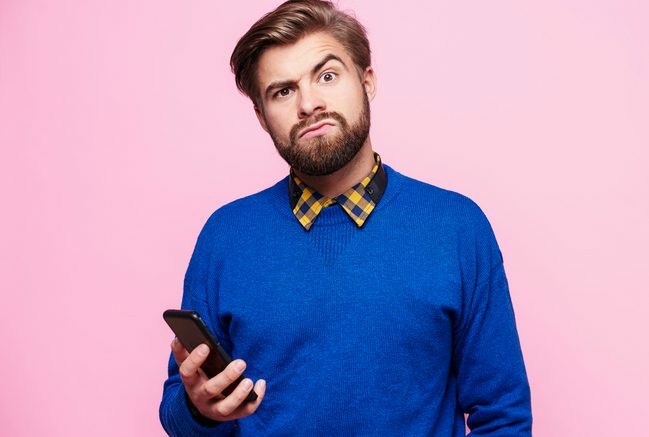 In many cases, simply engaging in No Contact is good enough to force your ex to feel enough attraction to you to want to get back together with you. Absence is an extremely powerful force and using this psychological strategy can yield some pretty positive results. Even if your ex doesn’t come back to you after a lengthy No Contact period, you’ll allow your ex’s emotions to settle in the wake up a breakup. See, depending on how your relationship ended, your ex could be feeling a myriad of emotions – anger, sadness, hurt or depression. These sorts of negative emotions must be given time to settle in order for your ex to begin feeling positive emotions for you again. And depending on the reason why you broke up, these emotions can take weeks to subside. However, there are a very few situations in which I do not recommend No Contact, but for the vast majority of people out there that want their ex back, No Contact is not only crucial, but it is absolutely necessary. The second piece of nonsense that gets thrown around is that I somehow believe No Contact will solve all your problems. Not once have I said that No Contact is the magic bullet that will make your ex come crawling back to you. People who who have seen my work will know that while No Contact is indeed an integral part of my system, it isn’t always a 1-step solution. 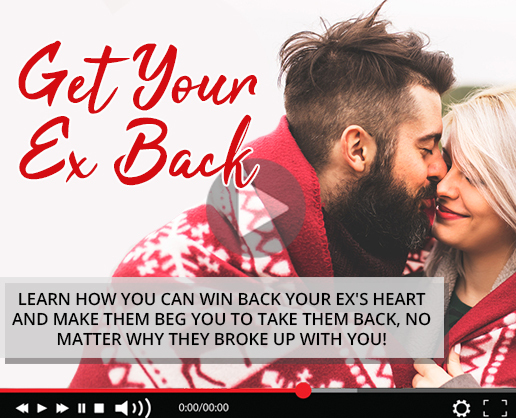 You’ll soon realize that most of the time, getting your ex back is generally a 3-step process and No Contact is only a part of the first step. In my 10 years of breakup and relationship experience, I’ve discovered that these three steps work for the vast majority of all my clients and if you’ve read about my 3 step system on exactly how to get your ex back, you’ll realize that I outline every single possible scenario that you could possibly face. So if you think your particular situation is somehow unique and you’re not sure if No Contact is even applicable to you, I’ve got you covered. The third argument that these so-called experts like to spout is that the recovery process that you undergo during No Contact is ineffective or useless. In my version of No Contact, I tell my clients that they need to undergo several key personal development routines that are crucial if you want to get your ex back and keep him or her. Getting your ex back is absolutely useless if your ex will suddenly break up with you again a few weeks after getting back together. While the tips that I outline during my No Contact may sound like they’re insignificant, I can assure you that they’ll not only help you feel more confident, but you’ll be better equipped to building a stronger, more vibrant relationship with your ex once you get him or her back. Now, I can keep going on and on about the other silly arguments these self-proclaimed experts claim but that would be giving them too much credit. Honestly, I’d rather not have to make this, but I was sick and tired of seeing some people get misleading information. So if you want the TRUTH about how to get your ex back. Be the first to comment on "Why “Experts” Say No Contact Is Bad (They’re LYING To You!)"